Alfresco was named one of CIO magazine's top 20 UK companies to watch in 2010. The list is intended to highlight vendors that are expected to see rapid growth in 2010. The companies in the list were selected by three analysts from MWD Advisors and CIO UK editor, Martin Veitch. 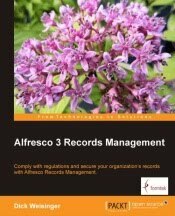 The reasons for selecting Alfresco for the list included their large user base and current momentum in the marketplace.